In July our Canadian Partners will be on the Ag in Motion exhibition in Saskatoon. We invite you to come and visit them on July 16-18. In January our partners in France are at the fair in Rennes. 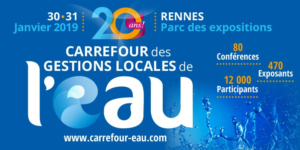 The "Carrefour des Gestions Locales de l'Eau" fair will take place from 30.-31.01.2019. On 22.12.2018 a small fair will take place in Bangkok, Thailand. Under the title "The Hotel & Building Chief Engineer annual meeting and party", a representative of Merus will also be present. From October 23rd and 24th our partner Pronomar will be present at the Offshore Energy Fair in Amsterdam. Please do not hesitate to contact the staff at stand 1.901 with your questions. From 17-19 October you can meet Merus in Italy at the H₂O trade show. Our partner Stefano Solmi will answer your questions in pavilion 22 on stand C73. Our Partner Pronomar kindly invites you to visit them at stand B7.710 at the SMM in Hamburg. They will be pleased to answer all your questions concerning Merus on ships and offshore from 4.-7. September. In Rennes, France, there will be a exhibition of the Food Processing Industrie March 13-15.  Our French partner will be there to answer the questions around working with liquids an a Merus Ring. Our partner in Chile will be on the Expomin in Santiago-Chile 23-27 April. The Expomin is an exhibition and congress for Latin American Mining. Rodrigo will be there to give you the latest information about the Merus Ring. They invite you to visit them in Paris November 8-9, or in Nice November 16-17. Rotterdam in November. Information concerning the Merus Ring will be provided by Pronomar. In October our Partner Pronomar will be on stand 1.123 at the Offshore Energy Exhibition in Amsterdam. Visit our Indian collegues at the IFAT in Mumbai. Their stand will be in hall 5.
welcome you in Brasil. With Workship do Brasil he will be on the Marintec South America on stand 455. We are there to meet you in hall C3 in Munic on the international trade fair. We will be happy to answer all your questions, some presents might also be with us. Germany. The German American Chamber of Commerce is organizing this event, supported by the German ministry of economy. The first days we will be in grater Los Angeles and at the end of the week in San Fransisco. If somebody like to meet MERUS during this time, please contact either the GACC in San Fransisco or MERUS direct. the same hall B7 and place as always. We hope we can welcome you during these days in Hamburg. And talk about new developments and activities in the maritime industry.